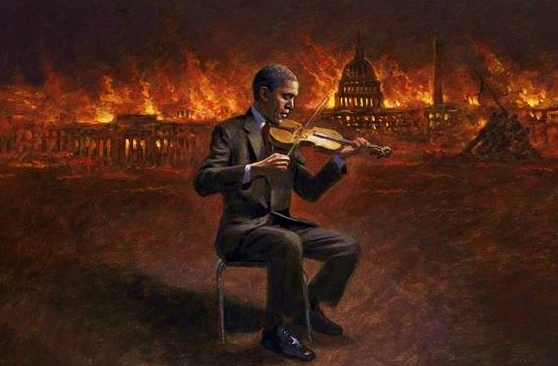 Let me preface my remarks by telling new readers that the globalists control both sides in the current political drama – both the “Establishment” side (Obama, Clinton, Soros, the Bilderbergers, the mainstream media, etc.) and the “Anti-Establishment” side (Trump, Le Pen, Putin, the BRICS, the alternative media, etc.). They are deliberately staging this dialectic conflict in order to implode their existing “Establishment” and erect a new one (the New World Order) in its place. Read Understanding the NWO Strategy for more information on what they’re doing. 1) The Coup/Counter-Coup contingency has been kept alive, and Trump has been painted as a man surrounded by (“Western globalist”) enemies who are ready to pounce. In the original version of the coup/counter-coup, the globalists were going to have Hillary’s forces attempt to reverse Trump’s election through the Electoral College. Their “white hat” minions in the government would have then staged a counter-coup to preserve the result of the election and restore Constitutional order. 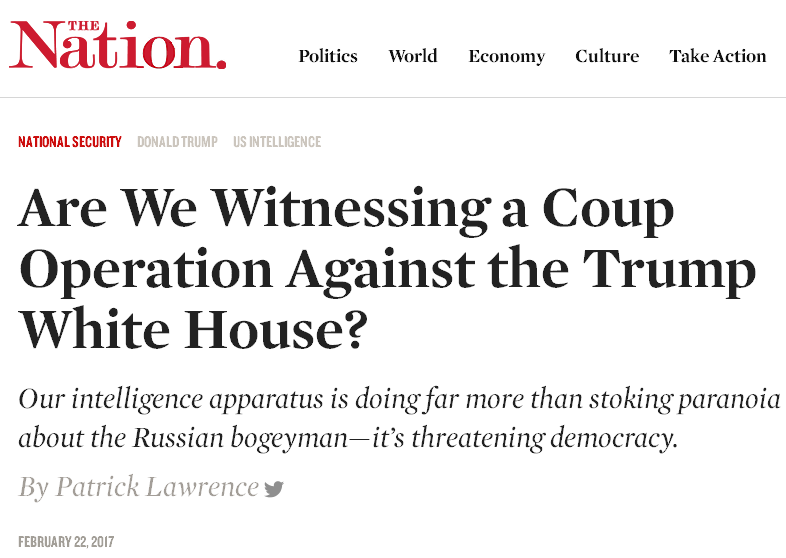 In the revised version of the coup/counter-coup, the globalists are aiming to have their “black hat” minions in the government (who are described as “globalist agents” and “Obama/Clinton/Democrat loyalists” in the controlled alt-media) make a move to unseat Trump. Their “white hat” minions (who are described as “patriots” and “constitutionalists” in the controlled alt-media) would then stage a counter-coup to take down the black hats either before or after Trump is removed. 2) An American aircraft carrier has been deployed to the South China Sea. 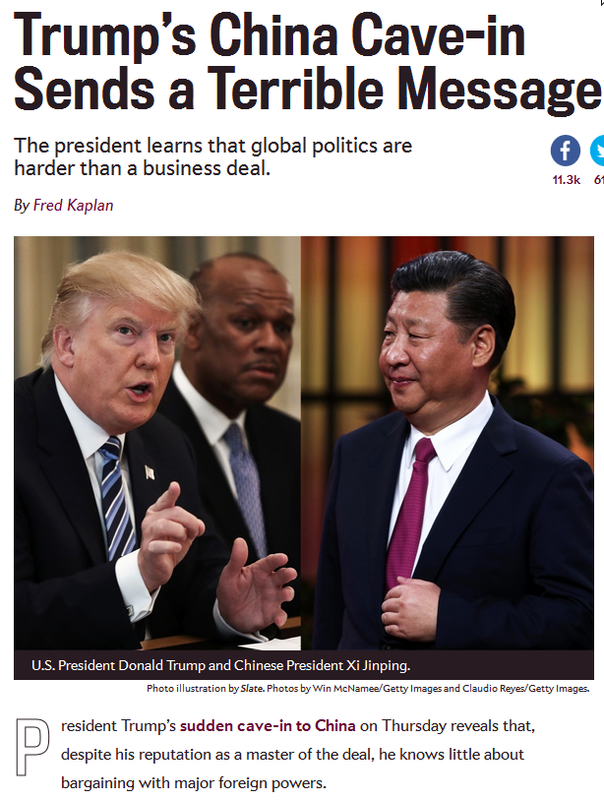 This provides the globalists with a standing opportunity to start the fireworks between Trump and China. Will the supposed coup-plotters make their move when a potentially war-provoking incident occurs (under the justification of “this madman Trump is going to get us in a war with China”)? 3) The Pentagon plan for defeating ISIS will be released in draft form on Monday. If it calls for the intervention of substantial American ground forces, will Trump’s reluctance to carry it out be attributed to his “Russian ties”? Will it be used as another justification for the coup? And getting back to the question and picture at the top, will the globalists reignite the Syria war contingency and the End Times script by writing Trump out of the script as “Vindex”? Vindex, a Roman governor who “had a passionate love for freedom and a vast ambition,” led a rebellion against the wicked Emperor Nero and was defeated and died. Should they decide to dust off the old Roman script for Trump, there is no more appropriate time than the Ides of March to get things started. > According to the globalist propaganda narrative, these combined forces of the “Neocon-Neoliberal Deep State” (the black hats) are locked in a life-and-death battle with Trump and the “progressive Deep State” (the white hats). Needless to say, the only difference between these two supposed factions is the role each has been given by their globalist masters. As for the “Deep State” concept itself, whenever you see an article talking about it, you are looking at a globalist propaganda piece. The “Deep State” is the collection of minion-level scapegoats the Occulted Powers have tasked with playing the soon-to-be vanquished “bad guys” in the dialectic drama. It is a manufactured propaganda concept meant to obscure our view of the real powers driving the globalist agenda: the world’s royals, the worldwide network of Jewish banking interests (which is much larger than just the Federal Reserve and the Rothschilds, and which encompasses ALL of the G20 nations and beyond), and the Freemasons and other such secret societies and mafia groups. …as proof that he is unsuitable to lead the revolution against the Neocons/Neolibs. 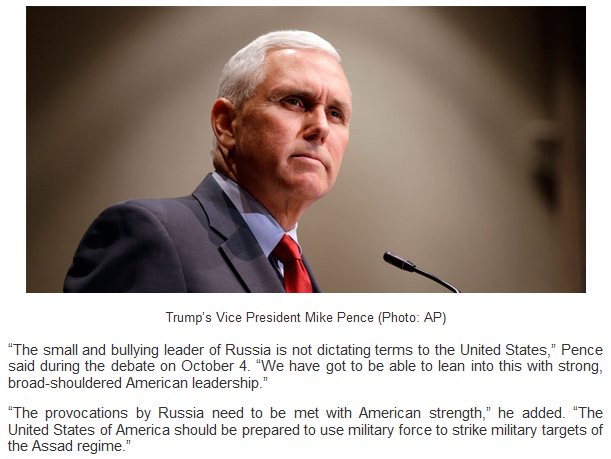 So according to the Vindex Falls narrative, the white hats will preserve their position by not sticking their necks out for Trump; they’ll intervene only when his replacement, Mike Pence, brings us to the brink of nuclear war with Russia. > Replacing Trump with Vice President Pence will allow the globalists to continue progressing towards the new financial system and UN reform while simultaneously allowing them to reopen the door to war with Russia via Syria. Exposure forced the globalists to abandon their WET dreams for last September, but replacing Trump with Pence in the first half of the year would allow them to try again this September. But now Trump has betrayed us all…. Today’s Neocon victory is a huge event and it will probably be completely misrepresented by the official media. Ironically, Trump supporters will also try minimize it all. 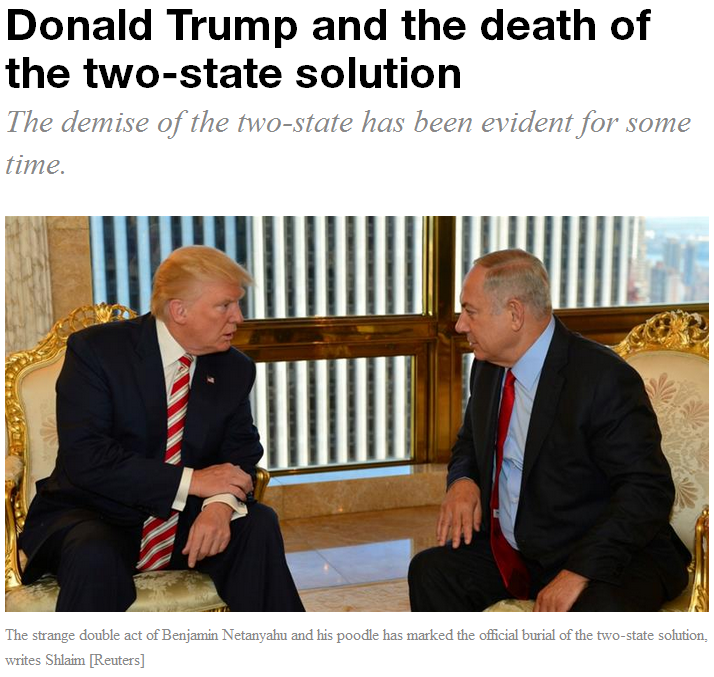 But the reality is that barring a most unlikely last-minute miracle, it’s over for Trump and the hopes of millions of people in the USA and the rest of the world who had hoped that the Neocons could be booted out of power by means of a peaceful election. That is clearly not going to happen. Seeing “The Saker” stick a fork in Trump like that is a powerful signal for those with eyes to see. 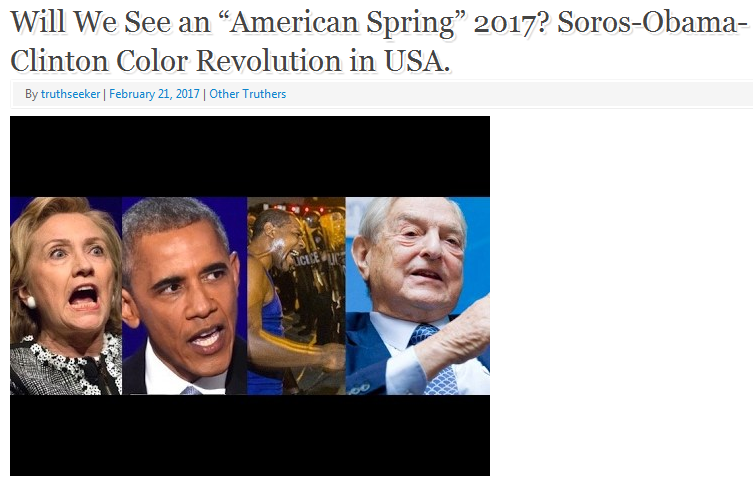 This entry was posted in Globalist Agenda Watch 2017, NWO on February 25, 2017 by kenneth.